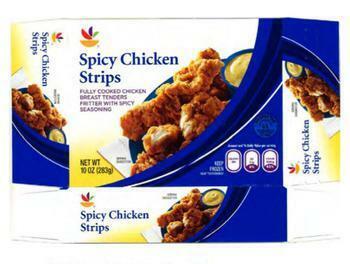 Water Lilies Food of Astoria, N.Y., is recalling approximately 4,335 pounds of ready-to-eat breaded chicken products. The recalled product, bearing establishment number “P-21465A” inside the USDA mark of inspection, was shipped to retail locations in Connecticut, Delaware, District of Columbia, Massachusetts, Maryland, New Jersey, New York, Pennsylvania, Rhode Island and Virginia. Consumers who purchased the recalled product should throw it away or return it to the place of purchase. Consumers with questions about the recall may contact the company at (888) 387-7669.